If you exercise regularly, you will gain muscle mass. You need to do at least 2 to 3 sets of 3 to 4 basic routines, and there are no two ways about it. For quick and better results, you should do 8 to 12 reps per set interchanging between the sets so that the body can adapt to the load. In light of these basics, here are some workouts for building muscles guaranteed to produce quick results. Professional bodybuilders acknowledge the effectiveness of the bench press. The bench press should be a starting point because it lets you work out with fairly heavy weights that stimulate the growth of chest muscle fibres intensively. The Technique: On a stable and well-balanced bench, lay with the neck elevated slightly so that it is above the shoulder girdle. Grip the bar making sure that your grip is 80cm. Lift the bar off the support then lower it to the chest ensuring that your elbows diverge as much as possible. Allow the bar to tap the middle of the chest slightly below the neck and then push it back up. Be careful not to pause when the bar touches the chest. Ensure that you breathe properly by inhaling when the barbell reaches the chest and exhaling once you push it up to the peak. Don’t bend your wrist when you are doing the bench press. The upward movement should not have the hands moving too far backwards or forward, but you have to allow the movements to be a little to the head when reaching the upward thrust’s peak. Ensure that you do the downward and upward movements at precisely at the proper angle and change the grip’s width for every new set. The flat bench dumbbell bench press is an innovative technique that borrows from the bench press but involves dumbbells instead of barbells. It stretches the muscles and gives them a greater tension. Each hand works individually, which is why it is important to coordinate your movements and master your balance. Try doing various rotations of your hands to work on different chest muscles. The Technique: Grip the dumbbells firmly then bring them down to shoulder-width ensuring that the palms face the feet. 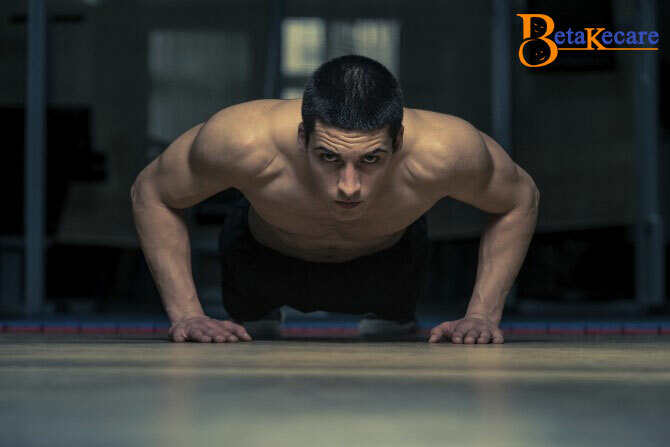 Push up the dumbbells ensuring that the elbows are firmly fixed in a comfortable position. 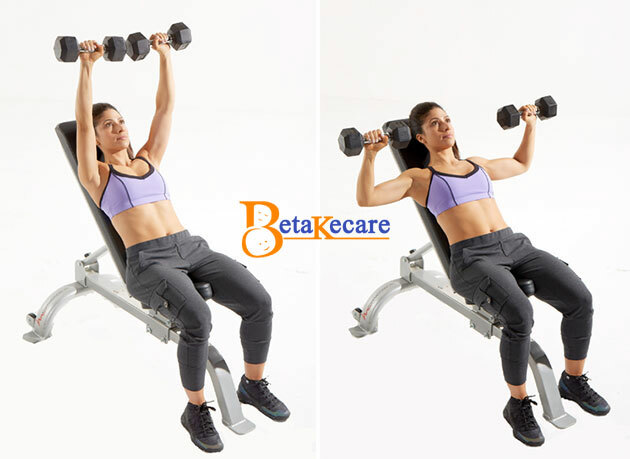 Let the pectoral muscles endure some strain once you reach the peak of the upward motion and then lower the dumbbells slowly back to the original position while you counter the downward force. You can start off with one hand at a time then complete the workout with both of the hands working in unison. Professional bodybuilders suggest that a bench press done on an incline bench should ideally be done on the Smith machine. The device lets you handle more weights without the worry of the bar leaning either forwards or backwards. Still, it is possible to do it using the traditional approach, with free weights, on a bench. 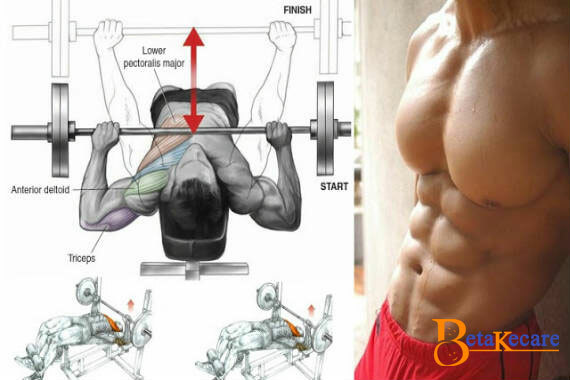 If properly done, the routine promotes rapid mass gain on the upper portion of the muscles of the chest. The Technique: Set the bench at an incline, ideally at an angle between 40 and 45 degrees. 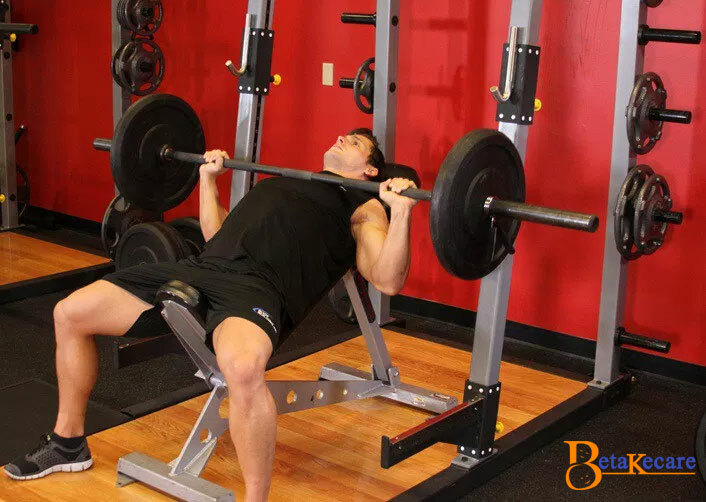 Rest your back on the bench while the barbell is above your head. Grasp the bar with either medium or wide grip then slowly lower it towards the sinking or clavicle on your chest. The former offers high intensity while the latter stretches your muscles. You can decide to do a set of 1 and the next for the other. Don’t forget to breathe the same way as when you do the traditional bench press. 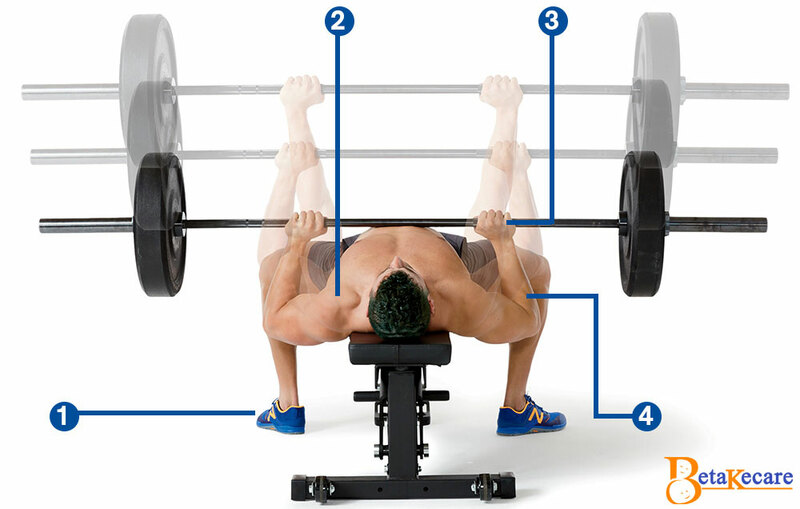 The upwards inclined bench dumbbell bench press is suitable for building the upper chest. Using dumbbells offers a more significant stretch once the weights reach the bottom during the downward movement as well as better tension when going back to the top. The hands operate individually, which means that there is more room for a longer trajectory, and this can activate the use of additional muscle fibres and promotes the rapid increase of their mass. 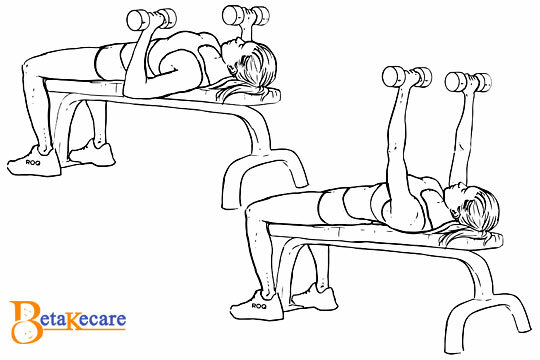 The Technique: Hold a dumbbell firmly in each hand while you rest your back on a bench set a 45-degree angle. Have the palms face inwards to increase the intensity of the contractions of the muscles and have a maximum exclusion of your shoulders during the workout. You can alternatively have the palms facing the feet with your elbows in a natural position and your wrists perpendicular to the ground. Push the weights overhead and upwards until they are touching each other since this helps contract the muscles of the chest. In-between each up and down movement, ensure that you have a light break. The effects of this workout are felt by the bottom part of the chest. It is quite an intense exercise and should thus be done with a workout partner to help in raising and removing the barbell. The Technique: Follow similar standards to those of doing inclined bench presses, but here you should have the bench in a declining (downward-facing) angle. Pulling dumbbell flyes are workouts that require you to lay flat on a bench holding dumbbells in each hand and then pull them apart and towards your sides. It is a great workout for stretching the chest muscles, and the highest tension is experienced when the hands are apart and feeling the full weight of the dumbbells. It is the perfect routine for winding up chest building workouts. The Technique: Use medium weight dumbbells as you lay on a bench. 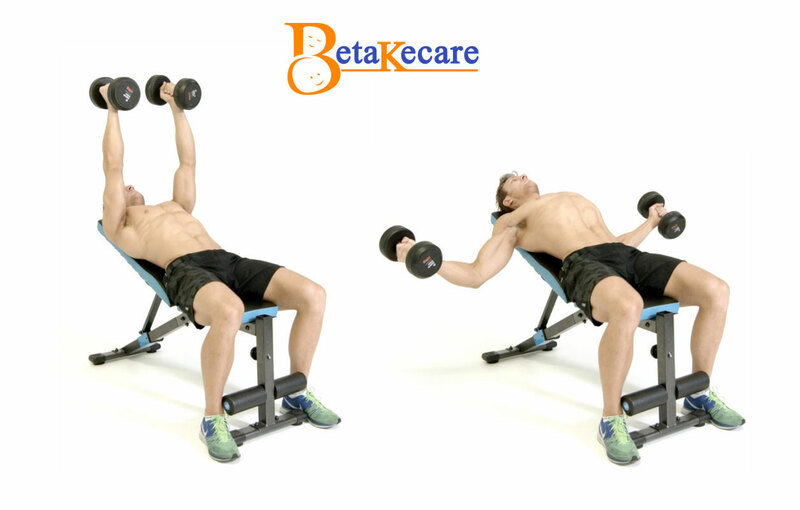 Lift the dumbbells and hold them over the chest ensuring that your arms are straight and the palms face inwards. Pull your hands slowly apart as you lower the dumbbells bending the elbows slightly until you feel the pectoral muscles starting to stretch. Make sure that you are careful by controlling the downward motion beyond an uncomfortable point. Pull the hands apart and downwards to the maximum point for stretching the pectoral muscles then return the weights to the original position, which should equally strain your pectoral muscles. The crossover is considered the ideal workout to do as the last workout for concluding your chest muscle building workout sessions. Its primary area of emphasis is the lower chest. The Technique: Grasp the handles making sure that your grip is firm as you stand at the center of the weight blocks. Move one step forward with the feet grounded firmly to better stabilize the body and then lean slightly forward to an angle of between 10 and 15 degrees. Pull the wrists so that they are in front of you as you let your elbows to bend slightly with the palms facing each other since this will effectively pull the weight blocks upwards. Pull your wrists until they are touching and hold them in this position for 5 seconds then allow them to part and the weights to drop while you resist the force thereby allowing the muscles of the chest to stretch. You can elect to pull your wrists in front of you at the hips or the abs. Previous articleJust Starting Calisthenics? Here’s What You Should Know!